When I learned by text message last October that Gabrielle Roth was passing through the veil of death, I sat in silence, cradling the phone in my hand. I remembered that my first meeting with her was like meeting the Buddha. She had an inspiring presence backed up by a body of teachings shared by followers around the world. I had come to think of her as immortal even though I knew that she was growing frail with stage four lung cancer. As I processed the news, I realized that from the moment that I first walked into one of Gabrielle’s 5Rhythms classes she was preparing me to handle this grief. 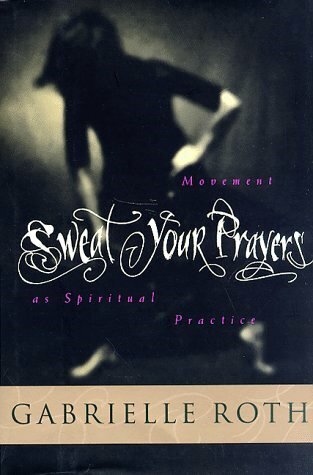 Gabrielle Roth is renowned for her dance and movement meditation practice 5Rhythms. Her ideas were spread through books such as Maps to Ecstasy (1989), Sweat Your Prayers (1997), and Connections: the Five Threads of Intuitive Wisdom (2004). She also recorded over twenty albums, mainly as Gabrielle Roth & The Mirrors. Many of these albums are popular in yoga classes. In 2007, she founded the non-profit 5Rhythms Reach Out to offer her movement practices to prisoners, inner city children, the elderly, and other special needs communities. Roth passed away October 22, 2012. The 5Rhythms are movement frameworks called Flowing, Staccato, Chaos, Lyrical and Stillness. There are no prescribed movements, only guiding principles for one’s creativity. When one moves through a sequence of the 5Rhythms, it is called a Wave. Gabrielle laid out additional maps for the 5Rhythms practice, including guided workshops. Even so, Gabrielle encouraged each person to find his or her own way, because the 5Rhythms is a way of describing the energy of the creative process, not a prescription of a particular form of dance. “This is just the little black dress I put on for you,” she said.